This book represents some serious, pioneering research about a repeated third day motif in the Bible. This mysterious, cryptic, and therefore obscure subject occurs mostly in the Old Testament. STILL HERE is a “Nonfiction Alternative to Left Behind Theology.” Book 1 in the STILL HERE series, The Third Day Bible Code was published by BookPros in 2006. It is soft cover and 267 pages in length. This book represents some serious, pioneering research about a repeated third-day motif in the Bible. This mysterious, cryptic, and therefore obscure subject is little known and occurs mostly in the Old Testament. The Apostle Paul wrote that God raised Jesus from the dead “on the third day according to the scriptures”–the Old Testament (1 Corinthians 15.4b). Where? Paul doesn’t say. Twice Jesus cited one, about the Prophet Jonah being in a big fish for three days (Matt 12.40; 16.4). Jesus said it was a sign, that is, a type, of his impending resurrection on the third day. This should alert us to look for other types about three days or third day in the Scriptures. Indeed, a peculiar third-day motif occurred in some of the most important events in Jewish history that are recorded in the Bible. For example, it was on the third day that (1) Abraham offered Isaac, (2) the Israelites met God at Mt. Sinai, and (3) Esther saved the Jews. I interpret these and other third-day incidents as types prefiguring Jesus, some of them forecasting his resurrection the third day. Jews have recognized the importance and significance of this third-day motif, and they have partially understood its meaning. Christians have done neither; yet they have had all the more reason to do so, since they believe God resurrected Jesus from the dead on the third day. This third-day motif in these and other biblical narratives serve as a code that unlocks God’s timetable about the future. By applying to them the principle “that with the Lord one day is like a thousand years, and a thousand years are like one day” (2 Peter 3.8), I further interpret that Jesus will return in the early part of the third millennium following his departure, approximately between the years 2070 and 2250. Whether or not one accepts this sensational thesis about the approximate timing of Jesus’ return, this book serves as a strong apologetic for the existence of God as well as Jesus’ resurrection on the third day, and it will strengthen Christians in their faith. 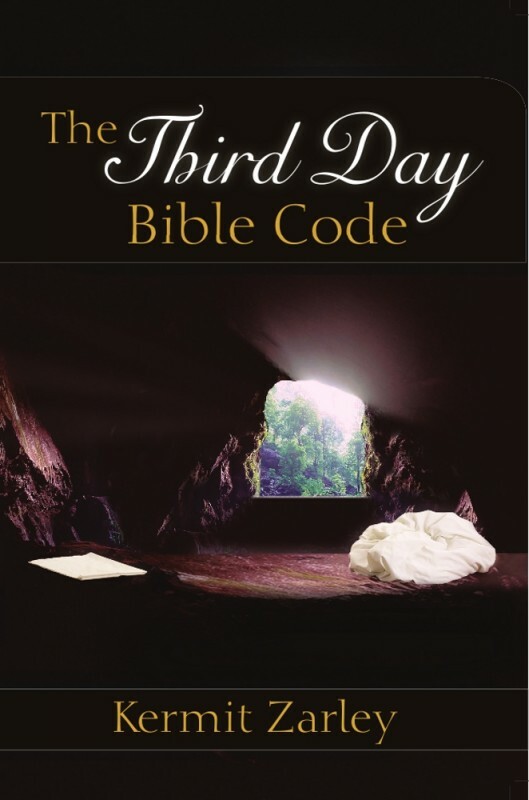 The Third Day Bible Code was second in the Religion/Christianity category in USA Book News’ National “Best Books” Awards contest in 2007. While there are a great many books that examine the various patterns of Biblical events such as multiples of 2, 3, 5, 7, and 12 and the repetition of “one”, this book examining the use of 3s deserves a thoughtful read. Christians will find the ideas presented intriguing and encouraging. Non-Christians will gain a greater understanding of Christians’ beliefs and why these beliefs often generate disparate views. What a fascinating book. I’ve known Kermit for 40+ years. We are both former members of The University of Houston golf team and we played on the PGA Tour at the same time. I had no idea he had such a talent until a couple of months ago when we attended a UH golf team reunion. Kermit and I were over at another teammate’s home for dinner and I saw The Third Day Bible Code on a table. I briefly scanned it and found it intriguing enough to go online and buy it. (Naturally I got Kermit to sign it for free! )Being only 220 pages, I figured I could read it in a couple of nights.It took 3 weeks of intense reading to complete it. To get the full impact, I will have to read it at least 2 more times and then put it on the shelf as reference material. What’s impressive is how Kermit had the time to write books. Having been a professional golfer, I know how much time and effort is required to keep your skills at a high level. I admire Kermit for being able to both so well. I have wondered where Kermit developed such a vocabulary, especially since all he was used to saying on the golf tour was “you’re away” and “four”. Keep your dictionary handy and I hope you enjoy The Third Day Bible Code as much as I did.